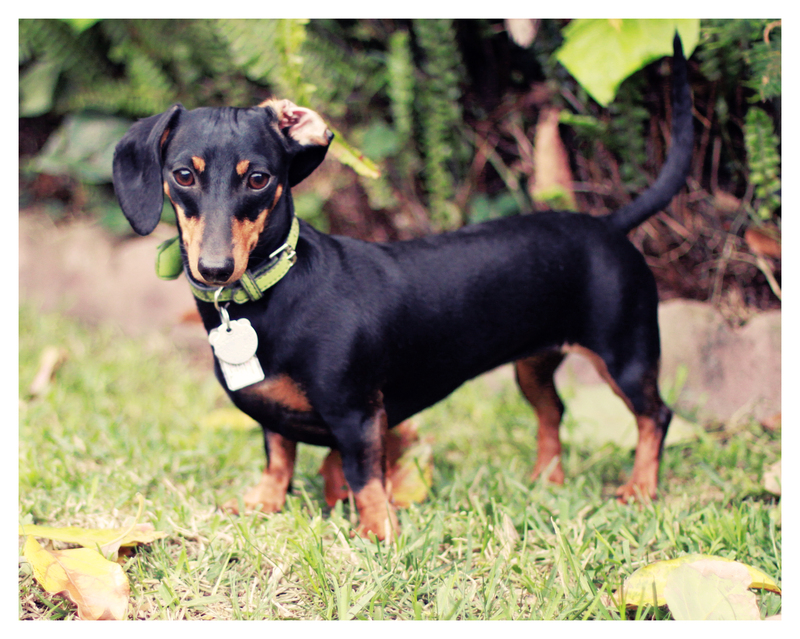 Today is your weekly dose of Emily, my adorable smooth black and tan, and today I offer a little personal anecdote along with it. I absolutely enjoy photographing Emily and the camera loves her, but photographing Emily is completely a different experience than photographing Rufus – my red smooth doxie. Rufus is a great photo subject, in the sense that he takes direction very well and obeys commands easily. 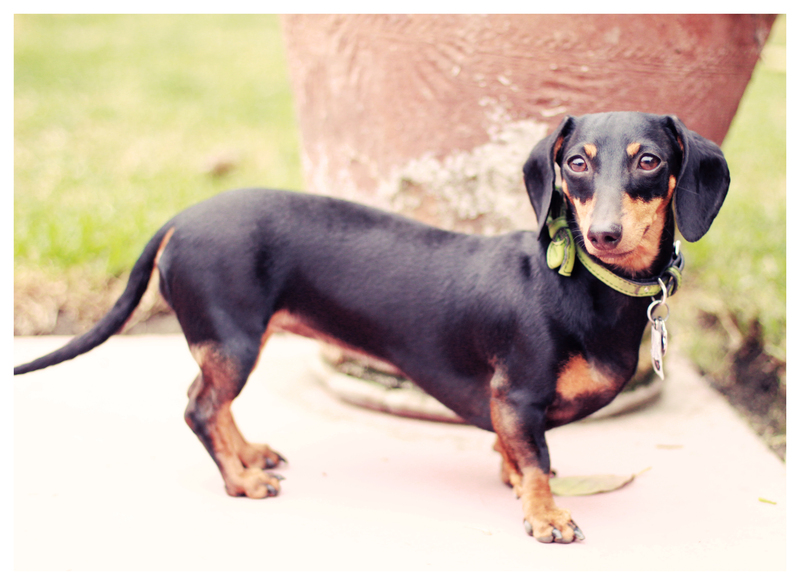 He is pretty prefect as a doxie model and together we can accomplish some complicated sessions. Emily, who hasn’t been doing this as long, doesn’t take direction as well as Rufus but gosh, she can certainly take a good picture when she wants to. Her black and tan coat pops against a variety of backdrops, her bright eyes are captivating and her natural smile keeps me wanting more. Photographing dachshunds is as unique as the dachshund I’m shooting, and not all dachshunds are alike – which is why I never grow tired of photographing them. Some folks ask, but don’t you ever want to photograph something else?! My answer (to date) remains a firm no. 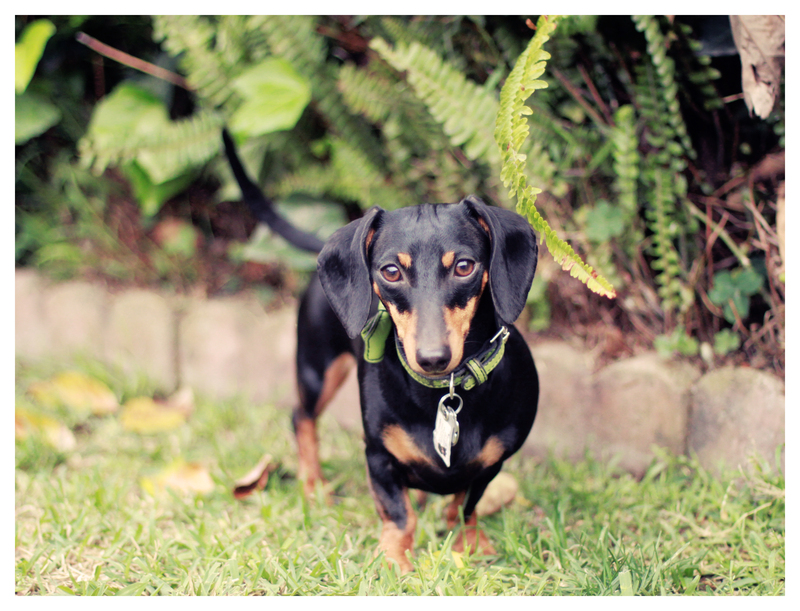 I’ve been photographing dachshunds exclusively for nearly 9 years and I have yet to grow bored with it – thanks to my very diverse photo subjects. Even Rufus and Emily are constantly changing – in their appearance, their attitude, their ability, etc. Their photos today are not the same as last year, and I predict they won’t be the same next year. As I grow as an artist and photographer, they evolve as well and together I think we make a great team. What do you think!? Emily, you are a true beauty. We love you site . We have 2 Doxies Murphy and Molly. They are sister and brother 2 yrs apart. I gave my breeders name to a friend and she has Tipsy about 12-13 weeks old. I have her when she goes out of town for work, until she gets older. I wish I could send a pic of the 3 of them. We are obsessed with these dogs!!!!! !